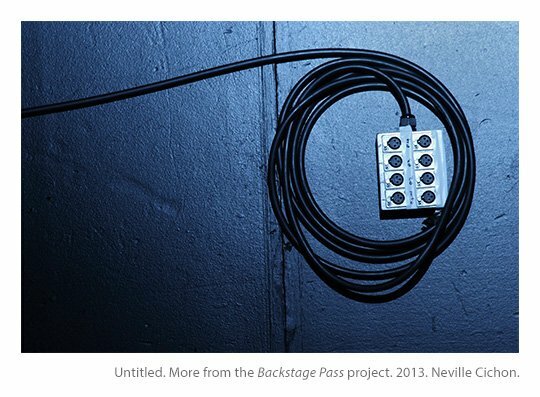 As the Festival season has come around one more time in Adelaide I have had a look back at some of the unpublished photographs taken during the development of the Backstage Pass exhibition. Here is a collection of ten images that have not been displayed anywhere before. This ladder was accidentally lit beautifully during some technical work in the auditorium of the Festival Theatre. The view from the stage at Her Majesty’s Theatre. 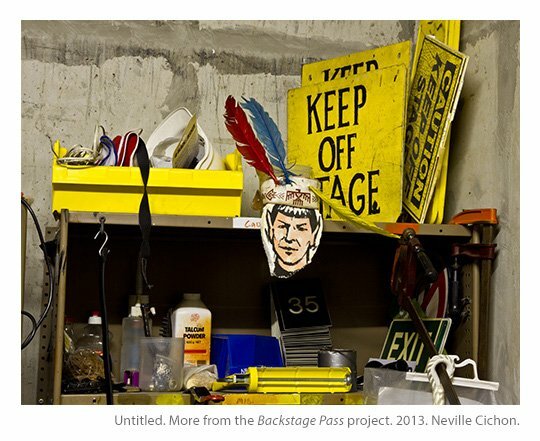 In a storeroom near the Dunstan Playhouse. Some souvenirs from previous shows can linger for decades. More souvenirs on a grand scale. 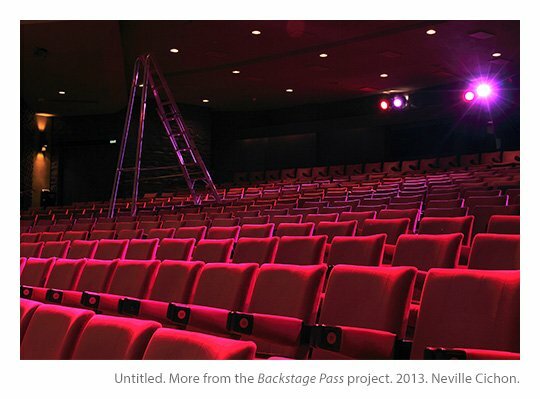 This is in the northern wing of the Festival Theatre taken from the stage. 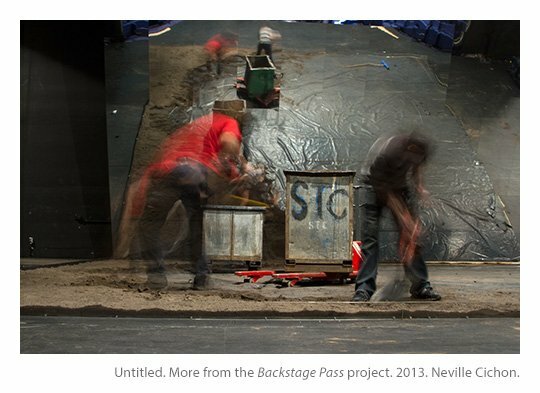 Crew shovelling sand on the stage of the Dunstan Playhouse after a production of Peer Gynt during the OzAsia Festival. The huge tiled mirror backdrop was also part of the production and is reflecting the crew and bins in the foreground. 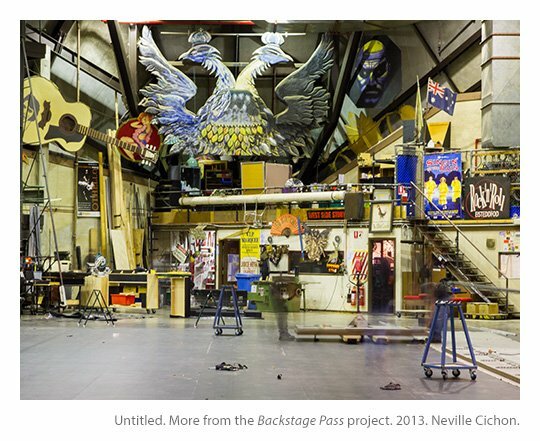 An example of how neat and tidy the production staff can be. 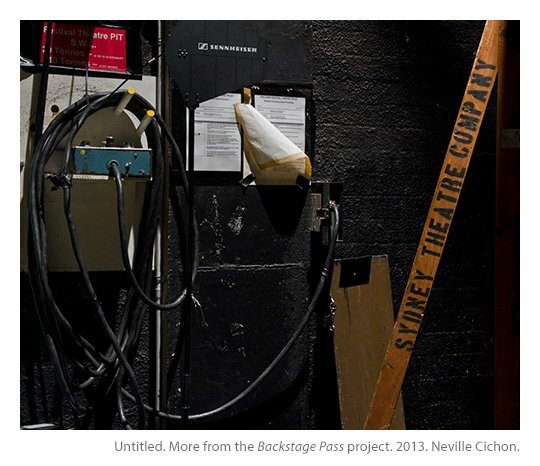 At the back of the stage in the Space Theatre during the Adelaide Cabaret Festival. 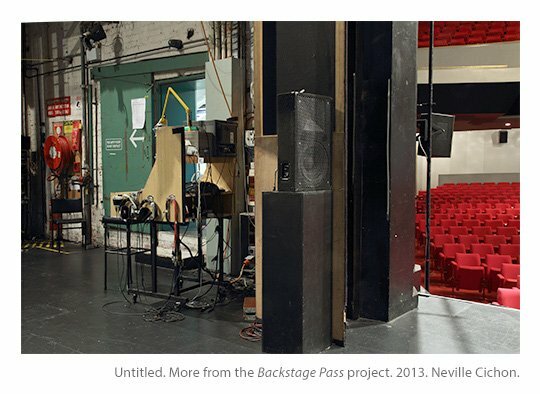 In the wings of the Festival Theatre. 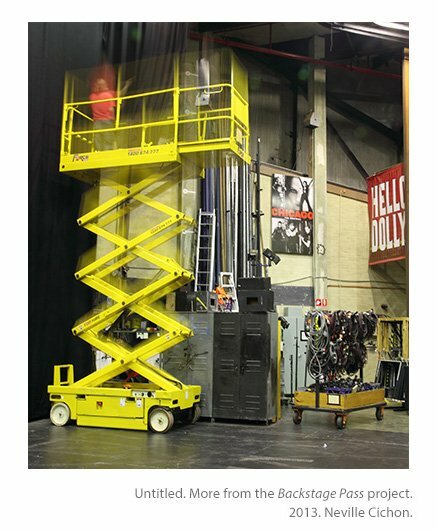 The heavy duty cable and control box operate the Orchestra pit that moves up and down as required for different performances. 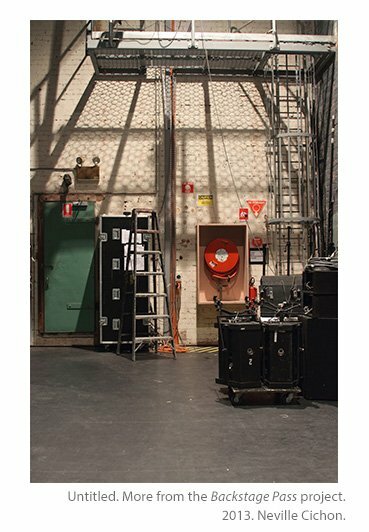 A hoist in use to suspend drapes around the Festival Theatre stage in readiness for the Adelaide Cabaret Festival when audiences and performers would share the stage. In the wings of Her Majesty’s Theatre. In the end, EVERYTHING EXPLODES. 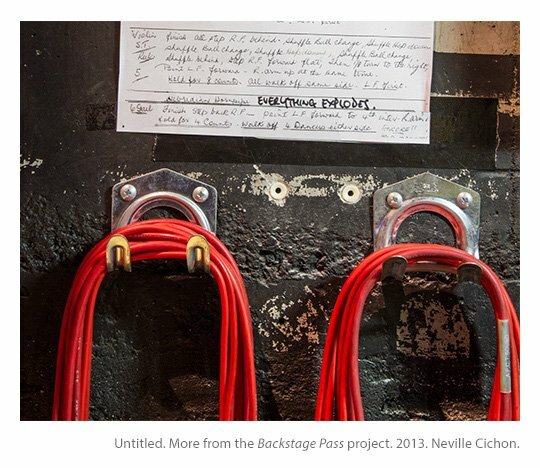 A cue sheet from a performance on the Festival Theatre stage.